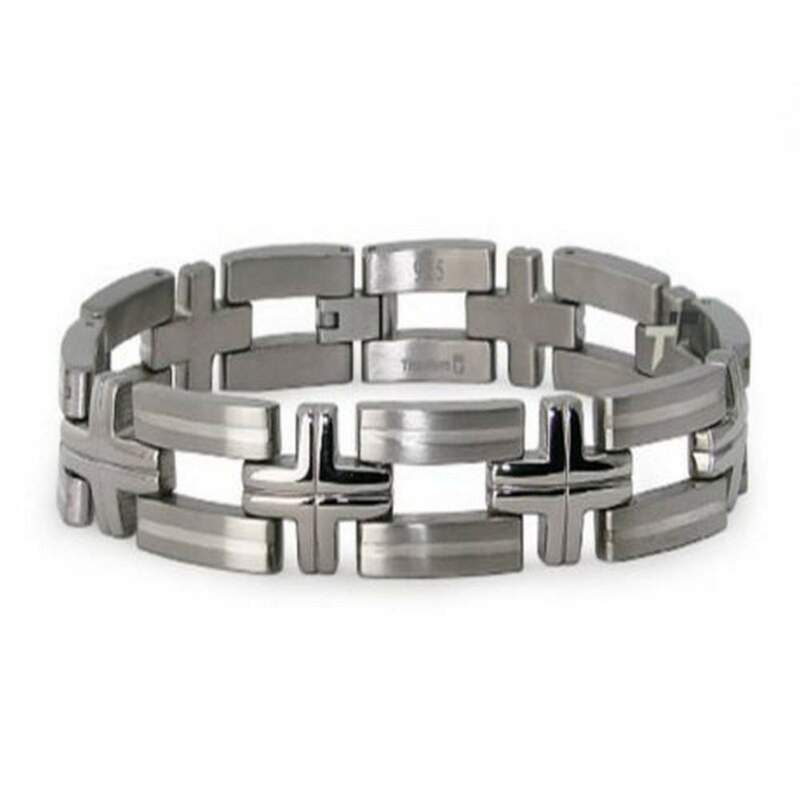 A heady combination of mixed textures, colors and shapes, this designer titanium bracelet is truly unforgettable. 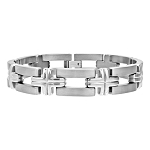 Boasting titanium's signature gunmetal grey color, polished and engraved crosses connect larger brushed finish rectangular links striped with inlaid silvery white lines. 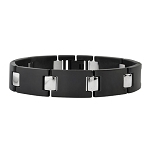 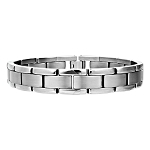 A fold-over clasp completes this 12.5mm by 8 inch titanium bracelet for men.